Soraa, the world leader in GaN on GaN™ LED technology, announced that its full visible spectrum LED lamps were installed to illuminate the Sacramento-based Crocker Art Museum’s exhibition “Glass for the New Millennium: Masterworks from the Kaplan-Ostergaard Collection”. In putting together this important show, Isble and the team from the Crocker reviewed and tested LED lamps from four different companies. As they narrowed down their choices, the Crocker team opted to visit Soraa’s LED fabrication facility in Fremont, Calif. Ultimately they chose Soraa VIVID MR16™ and PAR 38 LED lamps for the exhibition. 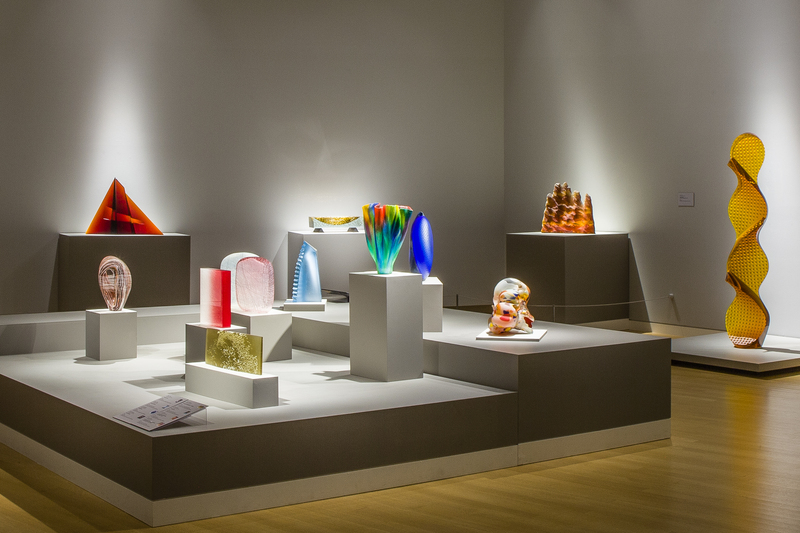 “Glass for the New Millennium” challenges how the public perceives mass, volume and form of glass. Surveying the work of 70 dynamic global artists who push the medium’s boundaries, the exhibit included important pieces from the 20th century studio movement, such as the life-sized, figural forms of Karen LaMonte, cast-glass abstractions of Richard Whiteley, and the expectation-shattering sculptures of Masahiro Asaka and Christina Bothwell. Utilizing every color in the rainbow, especially deep red emission, Soraa’s lamps render warm tones beautifully and accurately, and achieve a color rendering index (CRI) of 95 and deep red (R9) rendering of 95. Unlike blue-based white LEDs without any violet emission, the company’s lamps have violet emissions to properly excite fluorescing brightening agents in natural objects. Soraa’s GaN on GaNTM LED technology renders the widest range of colors in the objects that we see, without ultraviolet (UV) or infrared (IR) radiation that can fade or harm the art and artifacts. The Crocker Art Museum uses Litelab fixtures, and plans to replace all other lighting as it flickers or yellows throughout the facility with Soraa LED lamps. Soraa LED lamps have also been installed at the San Francisco Museum of Modern Art, the J. Paul Getty Museum, Victoria and Albert Museum in London and Historical Museum of Bamberg in Germany.